Select Version to display the projector's firmware version. 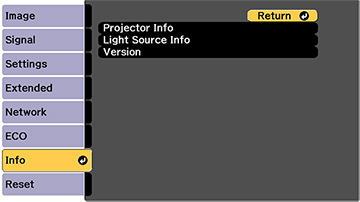 Select Light Source Info to display the projector's light source information. Select Projector Info to display the settings described below.